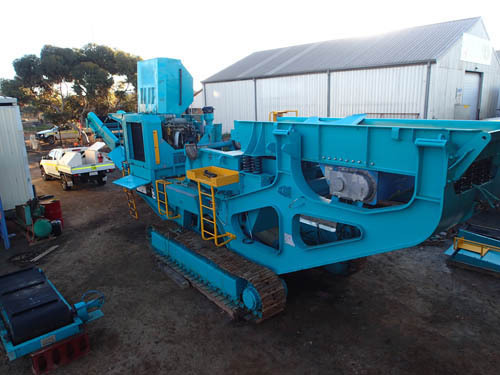 Comprehensive mineral crushing and processing, material handling, and mobile crushing and screening services throughout Western Australia and beyond. CSS has extensive experience in all aspects of mobile crushing and screening. Our network of highly skilled and reliable contractors offer a variety of services including mineral crushing services, material handling solutions and mineral processing. All our contractors come with considerable expertise, modern and high-quality equipment, and a great attitude. We pride ourselves on the knowledge, experience and professionalism of our team. Our crushing and screening contractors have consulted on various mineral processing projects (both fixed/mobile and wet/dry operations). From our locations in Kalgoorlie-Boulder, we can easily contract in Goldfields, Pilbara, Port Hedland, Kimberley, Perth and Darwin. We have also assisted established projects right through Western Australia, the Northern Territory, and the Eastern States. We help our clients with streamlining operations and restructuring production and maintenance systems, with the aim of ensuring the highest standards of safety and efficiency while maintaining low production costs. Our people are our most important asset, and they are what enables us to offer complete solutions in mobile crushing and screening. Along with our extensive network of contractors, our fleet is large, modern, and well-maintained. We keep it up to date with the latest technology and all our crushing and screening contractors work to the highest standards of quality and safety. This combination of great people and great machines enables us to tailor our services specifically to a broad client base.